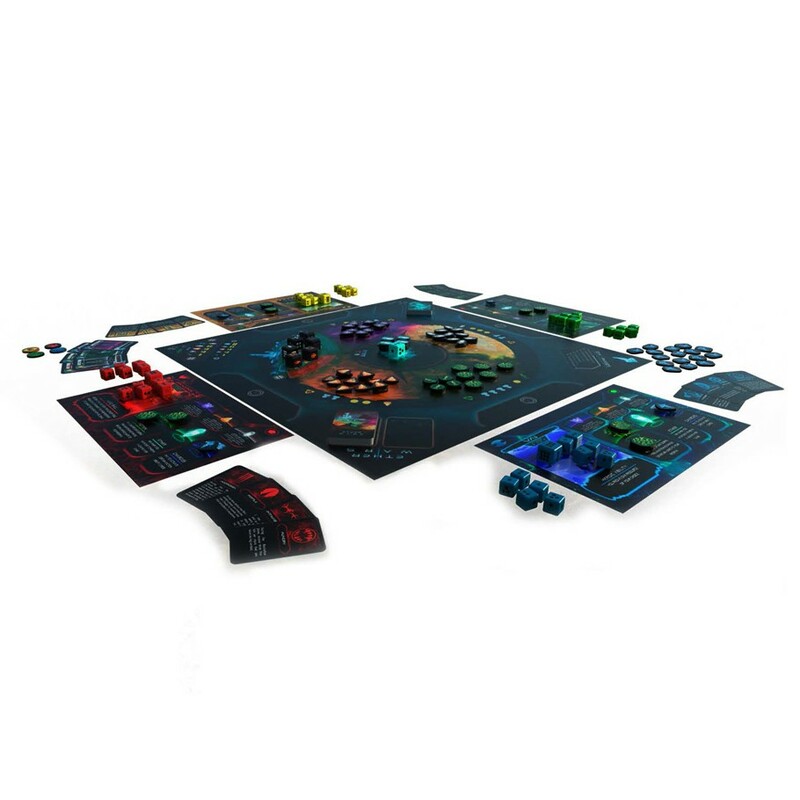 Lead your species to victory in this asymmetric game of dice placement and resource management. Obtain more pieces of Ether than your opponents and become the new champion of the Ether. 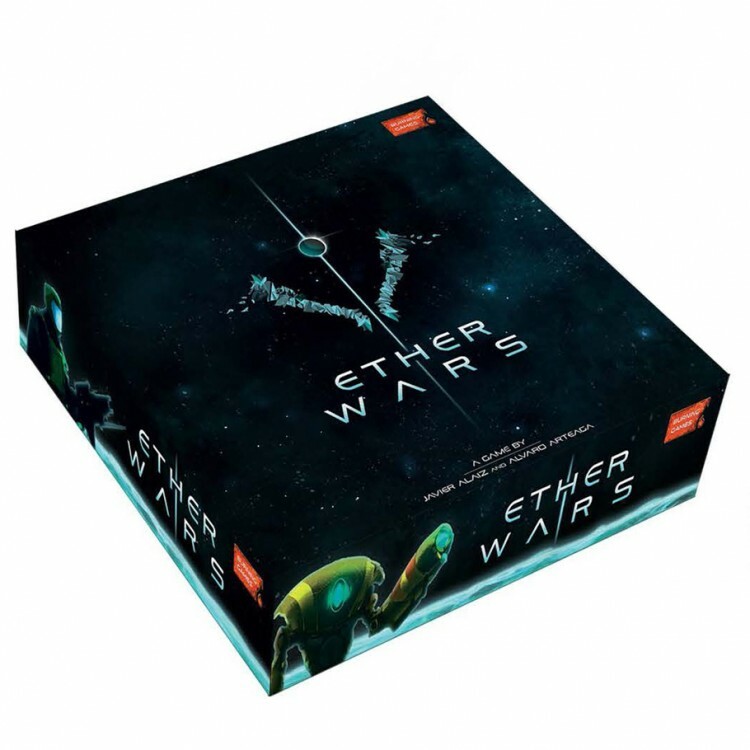 In Ether Wars, you will control one the four species that fight for the control of the Ether, the most powerful source of energy in the Universe. To win this epic battle, you will have to use all you tactical and fighting skills to extract, steal or channel resources and Ether. Your opponents will do the same. In this asymmetric game, you will be the leader of your species, put in charge of a huge dice-army. You can choose between the Dracon, a strong and vicious species; the Ripper, who can build immense and powerful armies; the human, versatile and unpredictable in their movements; or the VAi, who can use powers bestowed by the power of the Ether. No matter who you represent, you will have to place, move and roll your dice troops to extract resources, fight your opponents, channel the Ether and win the Ether Wars.